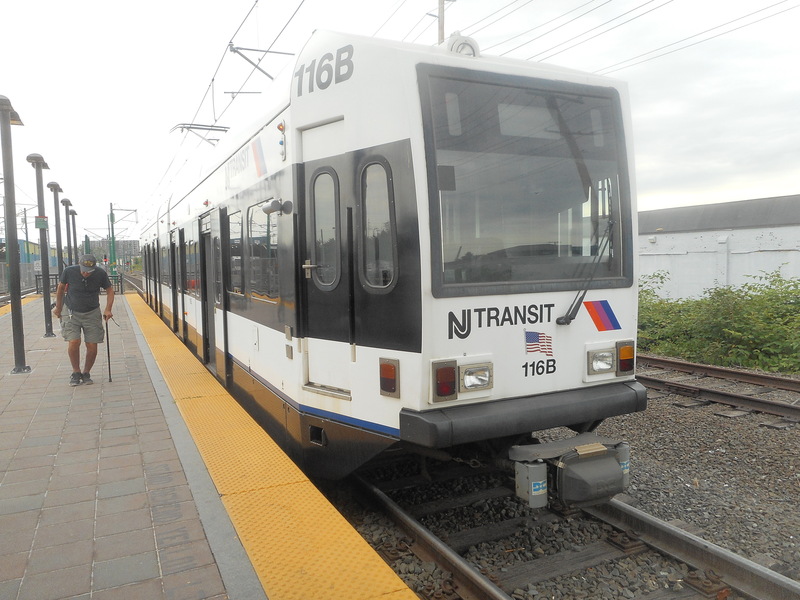 The Northern New Jersey system on the day the Hudson–Bergen Light Rail was extended to 8th Street in Bayonne. 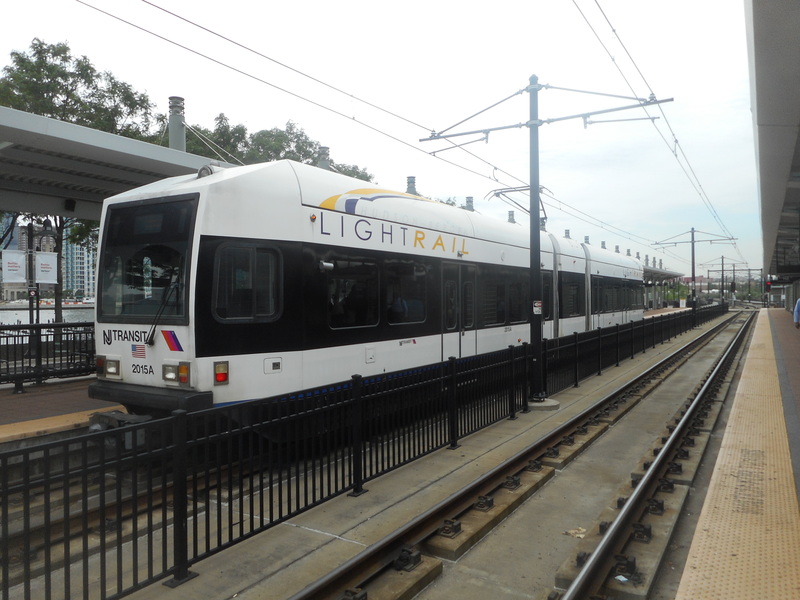 Newark City Subway + Newark Light Rail: 10.0 km. 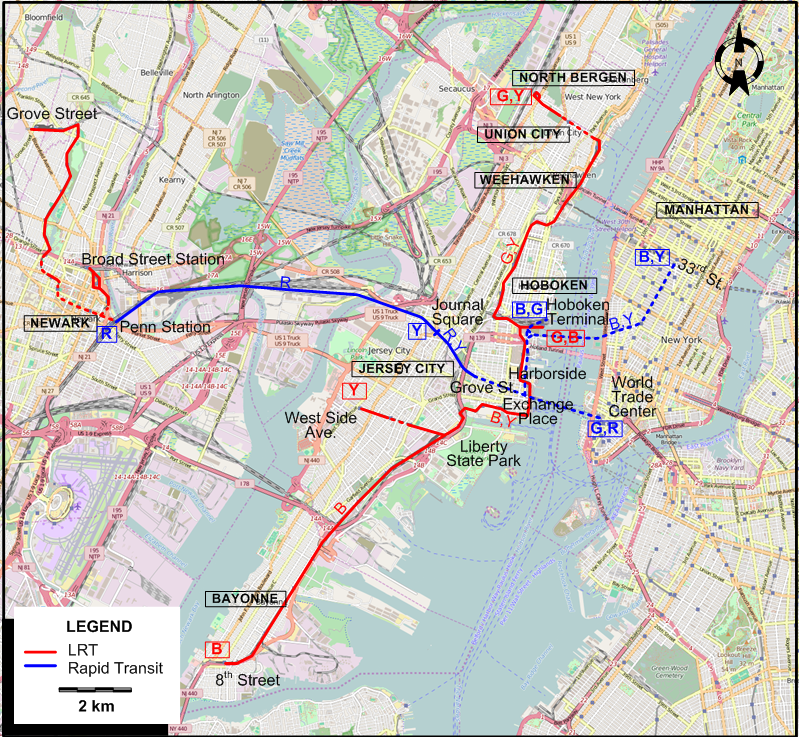 Hudson–Bergen Light Rail: 27.4 km. 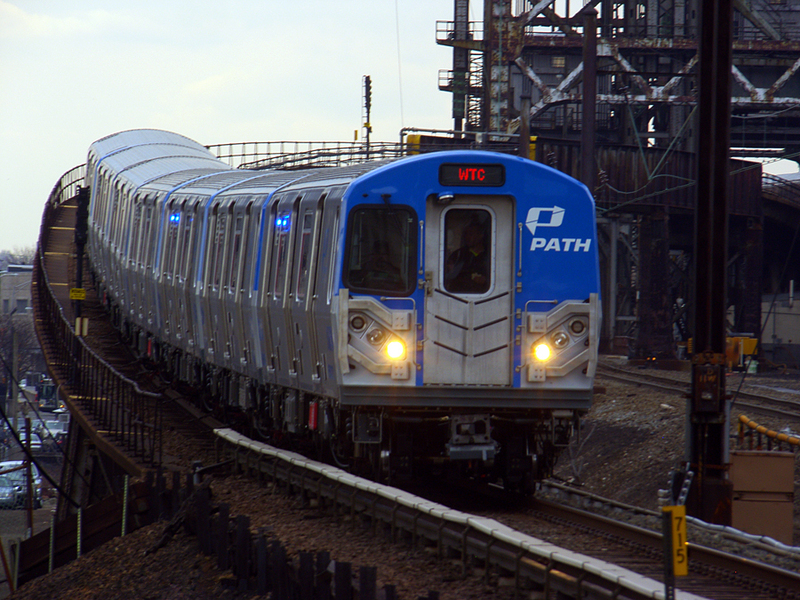 PATH Rapid Transit: 22.2 km. Light rail / Streetcars / PATH: 1435 mm. Craig, P. "Newark: New Jersey's best kept secret revealed", Tramways & Urban Transit, Nov. 2006 (69: 827), p.298-299. Kyper, F. "Newark's best-kept secret - The City Subway", Modern Tramway, July 1968 (31: 367), p.231-235. Lietwiler, C. "Light rail takes off in New Jersey", Tramways & Urban Transit, July 2000 (63: 751), p.248-250.